Disclaimer: As a Team Nuun member I receive discounted product and as a Feetures! ambassador I receive complimentary socks. . 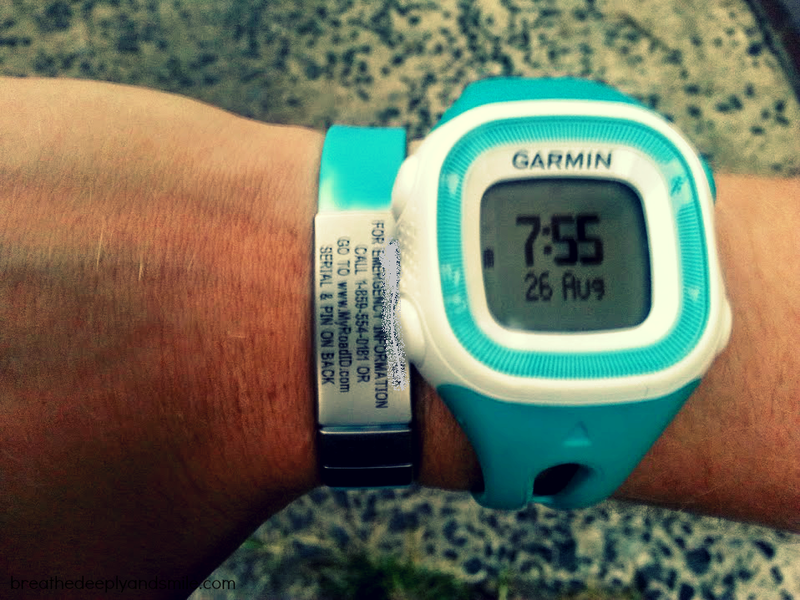 I was sent a Forerunner 15 watch to test & review from Garmin. I did not, and will not, receive any financial compensation from Nuun, Garmin, or Feetures! As always, all thoughts and opinions are my own. Even though we're stuck in the thick of winter, I'm holding on to the fact that spring isn't too far away. 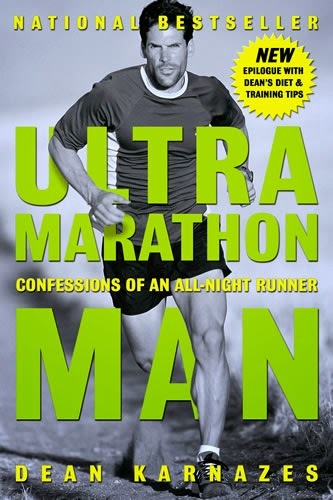 While I'm under-prepared for my spring race season (oops), it is quickly approaching. Soon everyone will be running, racing, and coming out of hibernation to train. I thought I'd share five of my favorite products from training for my second marathon-the Chicago Marathon, last year. This list is slightly different from my favorite gear list during training for my first marathon. 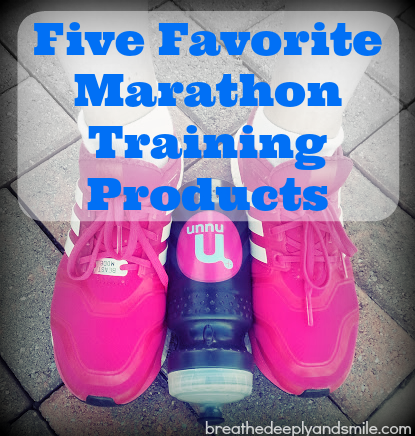 Actually all of these products, besides the shoes, I use all the time no matter the distance I'm training for! 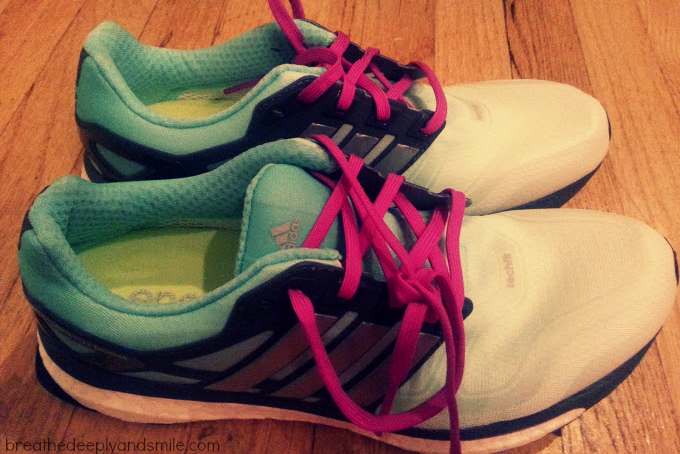 I'm still a Brooks Running lady at heart, but the Adidas Energy Boost 2 shoes were good to me this past marathon training season. I've been spoiled because no shoe I try ever feels as bouncy as these do. I loved the responsiveness and slight cushion of the boost material along with the thinner, slightly stretchy upper. I felt like I definitely had enough support for long runs and the constant pounding of me feet. These also gave me no problems during the actual marathon which is obviously super important. Also picture is my Road ID which I highly recommend. Last summer I was sent a Garmin Forerunner 15 tester to use & review, and I haven't gone back to my Garmin Forerunner 405 since. Besides this particular Garmin being in one of my favorite colors (it comes in many), I love how much more lightweight it is. The Forerunner 15 has solid GPS tracking along with step/activity tracking. It retails at around $140 which is reasonable for a GPS running watch. I like that the sporty design, clear display, and fairly long battery life. The setup of the watch is really simple and clear, but you can get more details and features when you sync it online. Even though it can track steps, it doesn't track sleep, so that's why I still like using my FitBit sometimes. It only displays two data fields at a time (i.e pace and distance) so you have to press a button to flip through them which is sometimes inconvenient. However when I'm running I just need a simple watch to help with speed workouts and to track my pace, time, and mileage so this watch does the job. Clearly as a Team Nuun member for the second year in a row, I love me some Nuun. The tablets are like Alka Seltzer and dissolve in water, leaving me with a slightly effervescent, flavored hydration drink with no sugar and lots of vitamins and electrolytes. 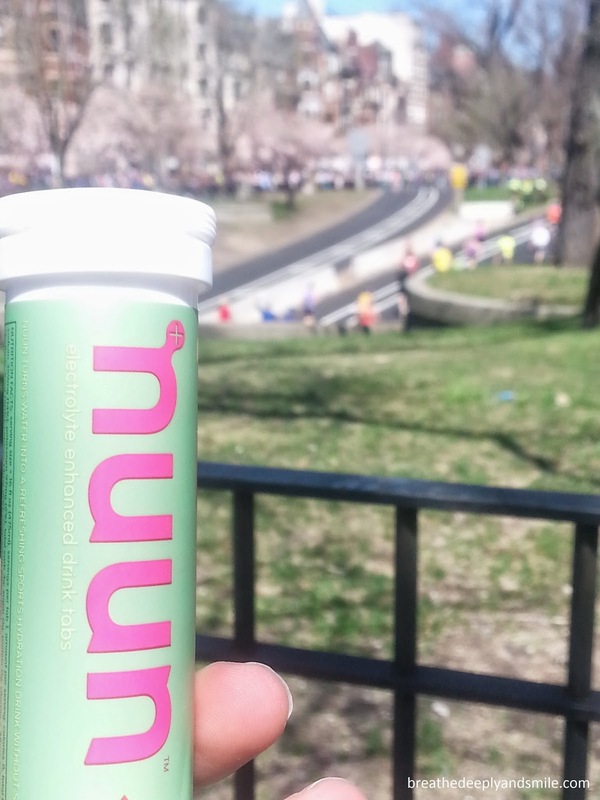 For races I love the Nuun Energy Lemon-Lime flavor. It has the usual electrolyte mix but is boosted with caffeine (about the amount in a cup of coffee, nothing crazy). Nuun has no carbs though so I always need to fuel during long runs and training. 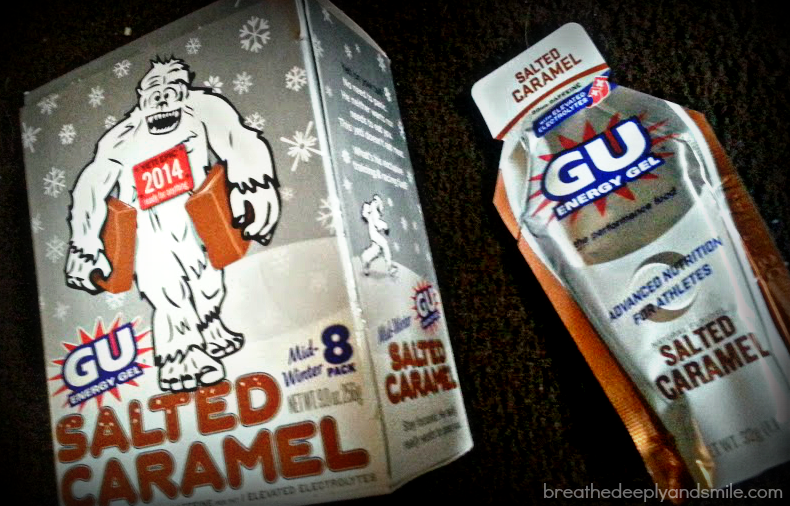 My marathon method of choice this past time was the delicious Salted Caramel Gu every 5-6 miles. I used this throughout training to make sure I felt good with it. Each packet is 100 calories with 22g of carbs and was enough for me during the marathon after doing a pre-race carb-load. I bought two Pacebands before the marathon training started-a 3:30 reach goal, and a 3:35 one. I ended up wearing the 3:35 one during the race, and since I started the race just trying to have fun and run as well as I could, it was nice to focus more on my paceband and less on my Garmin. 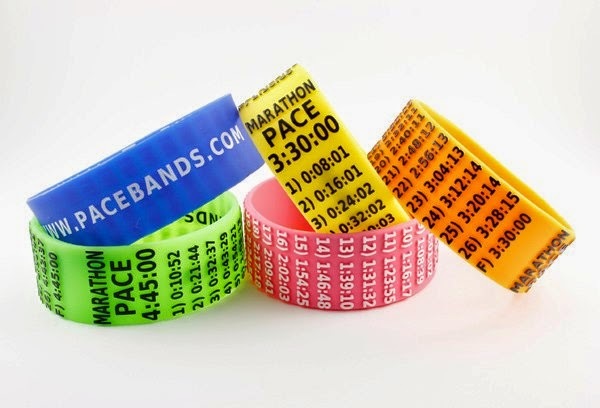 I used the paceband a couple times during tempo runs to practice with it and make sure I felt good pacing myself. I know I've seen stickers or even people writing the paces per mile to reach a certain goal time on their arm, but I liked the idea of a reusable band I could wear on my wrist. They retail for $8.99 and come in a variety of paces for races including half marathons,marathons, 10Ks, and even 5Ks. I've mentioned multiple how excited I am to be a Feetures! Ambassador this year. I discovered the running socks brand when I was training for my first marathon 2 years ago and realized how important a good pair of socks was. I mostly use the high performance Feetures! in the light cushion style. They have just the right amount of cushioning for my feet. I love how the socks are so soft and comfortable, but also keep my feet blister-free and dry when the mileage creeps up during training. What are your favorite race training products? Do you have any big spring races coming up? This post was linked up for Friday favorites here, here, and here. Disclaimer: I was given a complimentary 3 pack of Great Low Carb Bread products for review. As a Rock 'n' Blogger, I received a complimentary Tour Pass 3-Pack. I did not, and will not, receive any financial compensation as a Rock 'n' Blogger. As always, all thoughts and opinions are my own. Before I start talking about food on this WIAW, I wanted to give everyone a heads up about a big race. 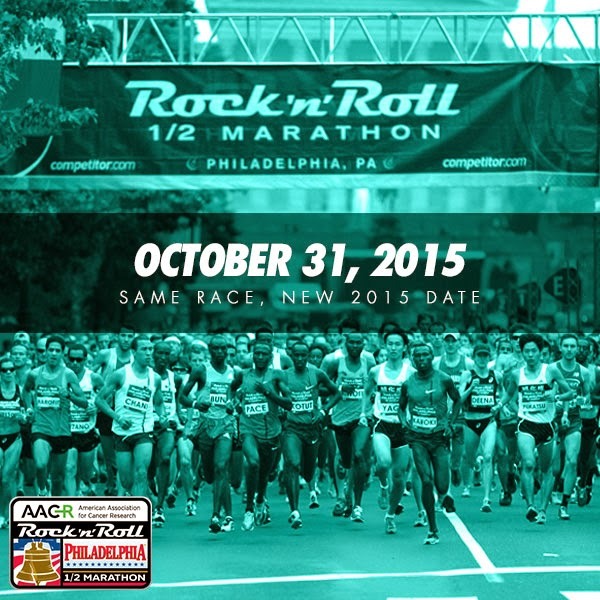 After scheduling issues due to the Pope's visit this Fall, the Philadelphia Rock 'n' Roll Half Marathon will be held on October 31,2015. It's the day before the New York City Marathon which is difficult for many people. It should be back to it's usual time in September next year. It was my first half marathon ever back in 2012 so it holds a special place in my heart, and I can't wait to return to run it this year. Registration opens tomorrow and the first 1000 registrants will only pay $55! 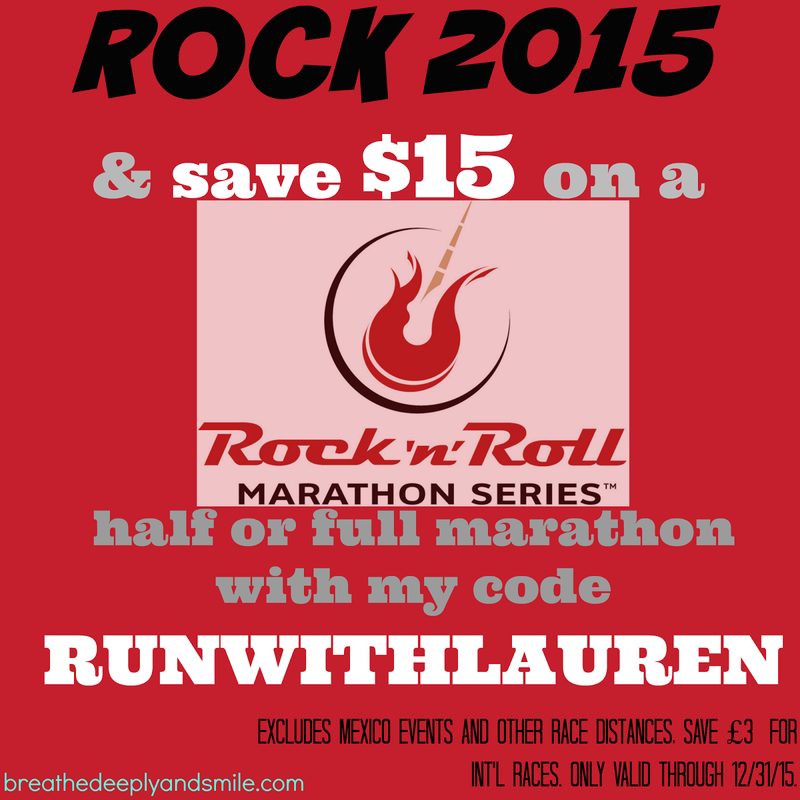 Remember, you can save $15 all year on Rock and Roll half and full marathons with my code RUNWITHLAUREN. I thought I'd talk about some of my favorite foods I've been eating lately.Besides the staples of nut butter, bananas, and something green everyday of course. I love food and cooking but always seem to get into trends with what I'm eating. Once you go dark meat you never go back. I've been meaning to rant about this for a while. 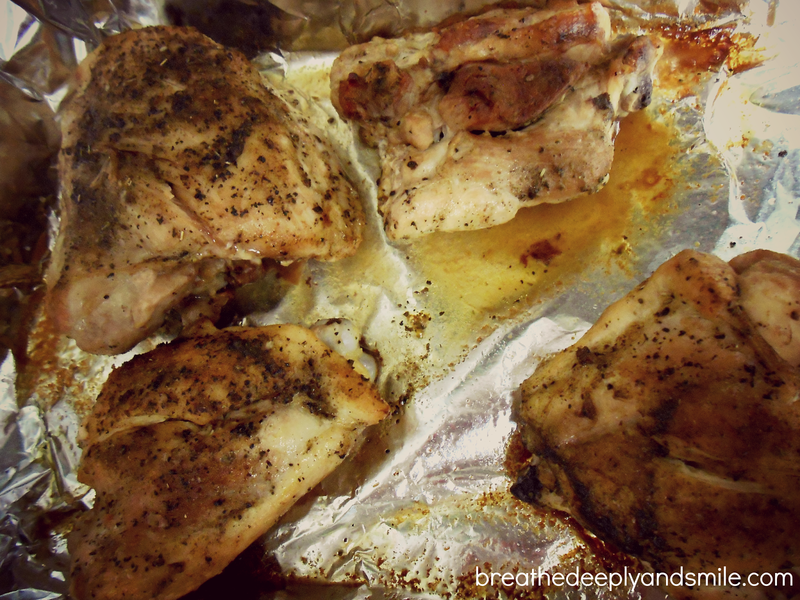 The facts are there and dark meat and chicken thighs have gotten a bad rap. A 3.5 ounce chicken thigh has 209 calories and 11g of delicious fat, while the same amount of chicken breast has 165 calories and 3.6 g of fat. Fat is fuel and is delicious. If you really care about calories, you can remove the thigh skin too. The dark meat is SO MUCH more flavorful and moist than chicken breasts-my boyfriend doesn't want to buy anything else anymore! Seriously boneless, skinless chicken breasts are so blah after you've been eating chicken thighs. Come to the dark side! I usually keep it simple and just cover the thighs with salt, pepper, olive oil, and some herbs and roast in the oven at 375F for 30 minutes. Delicious! This is one of my favorite food's always, not just lately. Any kind of nut butter and any type of jelly will do the trick for me. One of my favorite combos lately is Justin's vanilla almond butter and strawberry jam-it's amazeballs. I got the chance to review some products from the Great Low Carb Bread Company. Their cinnamon bagel with peanut butter and jelly makes for an awesome breakfast on the go. I've been totally craving bagels lately so this hits the spot. Their bagel isn't gluten-free, but it has 2 g of net carbs and 14g of protein. The only problem is I already ate the whole pack of bagels! Disclaimer: I was given a complimentary 4 pack of Mamma Chia Energy Beverages for review. Giveaway was offered and is provided by Mamma Chia. As always, all thoughts and opinions are my own. Chia seeds have rich, plant-based Omega-3s, fiber, protein, and antioxidants and was used by both the ancient Mayans and Aztecs. I've tried the yummy drinks and squeezes from Mamma Chia company and was really excited to try their new energy drink. Mamma Chia paired the magical forces of chia seeds with the clean energy of guayusa into an organic fruity Chia Energy Beverages. The texture is just like their other chia drinks or sort of like a gelled beverage. I love the fruity flavors-especially the grape and the raspberry flavors. The boost of energy was subtle, but has been a great mid-afternoon snack to help me power through work. All Mamma Chia products are non-GMO verified, gluten-free, vegan-kosher, and USDA certified Organic. These Mamma Chia Energy Beverages retail for only $2.99 and can be found at select retailers including Whole Foods, Safeway, and Target. Check out Mamma Chia on Facebook, Twitter, Pinterest, and Instagram! 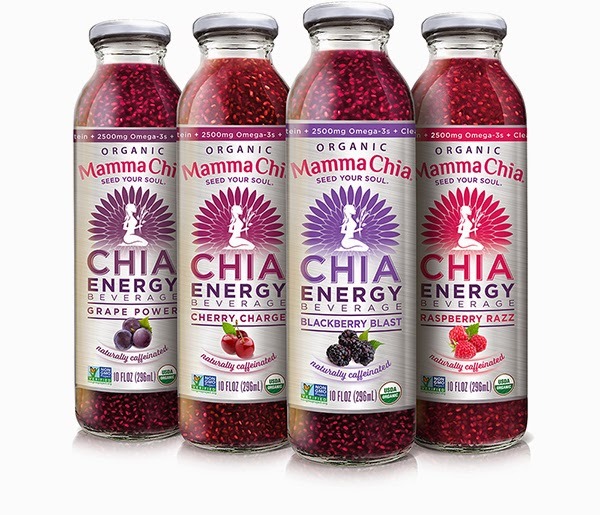 Mamma Chia has kindly offered to give 1 reader a set of 4 Mamma Chia Energy Drinks , a Mamma Chia Camel Bak Water Bottle, and a week supply of Mamma Chia Chia Squeezes! Just follow the steps listed on the Rafflecopter to earn entries before the giveaway ends on March 6th at 12:00 AM EST ,US Only, 18+. Do you eat chia seeds? 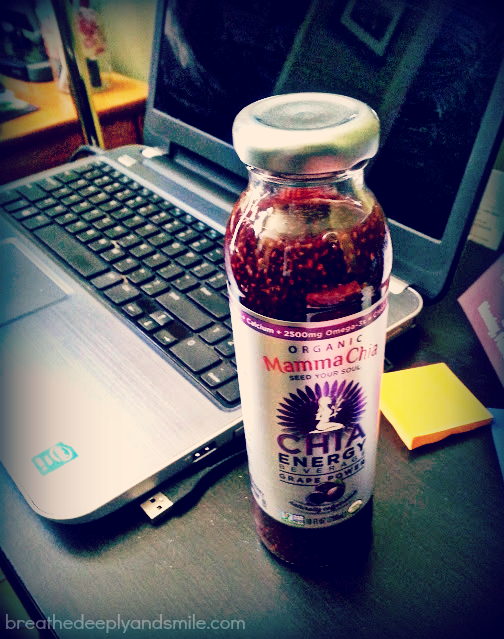 What flavor of Mamma Chia Energy Beverages are you most excited to try? This post was linked up with Tasty Tuesday. Today I'm linking up with my 5 Friday favorites from the week here , here, and here. I'm sharing my favorite things from the past week. It's been a long and cold week so I'm happy it's Friday. Minus that today I woke up and it was 1 degree outside. I know Chicago and Boston have it worse, but I'm still not happy about it. It makes me want to hibernate and never leave the apartment. Shake Shack Baltimore FINALLY opened this week on Monday. However I snagged an invite to the Friends and Family Day on the Sunday before which allowed my boyfriend and I to try out their menu as they trained their staff. As you can tell from the photo, we hated everything. It was also really sunny in there-no joke. I got the Hamburger which was so delicious and juicy. We split some crinkle fries which were glorious and crispy along with a special Baltimore-only concrete, the Pratt St. Pie Oh My. It's frozen vanilla custard with a slice of local Dangerously Delicious blueberry pancake pie mixed in. It was SERIOUSLY amazing. We split a single, and it was definitely satisfying enough after all the other food. It was all worth every single calorie! 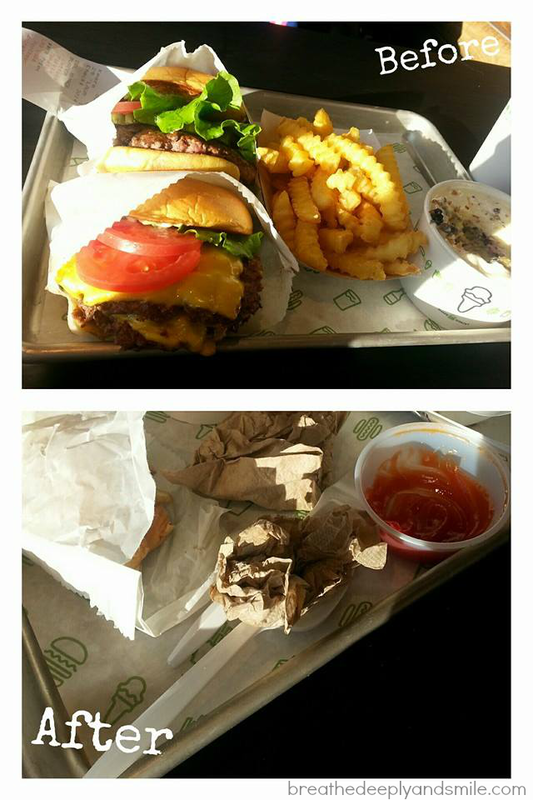 I hope Shake Shack does well in Baltimore-I know it's where I'll be treating myself all the time. 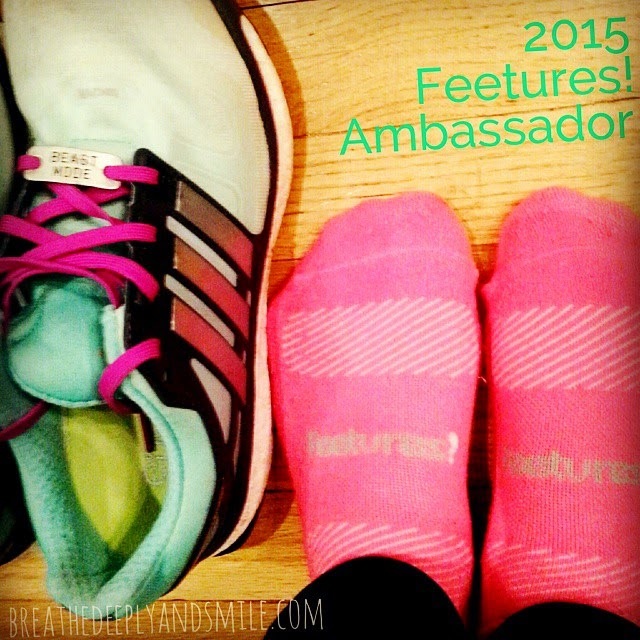 I found out in January that I was selected as an 2015 Feetures! running socks ambassador. 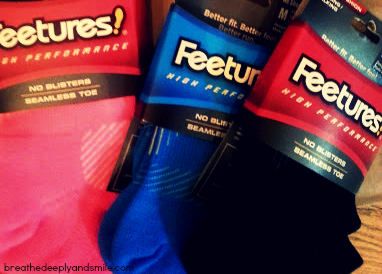 I'm super excited about yes, socks, because after trying multiple brands during marathon training, I finally settled on Feetures! being my favorite last summer. I just ordered a few more pairs so it's all I've been wearing to keep my feet blister-free and happy. I'm also really excited because Feetures! is also a sponsor of the ZOOMA race series (just another good reason to register for the ZOOMA Annapolis race in May with my code LAUREN15 to save 10%)! 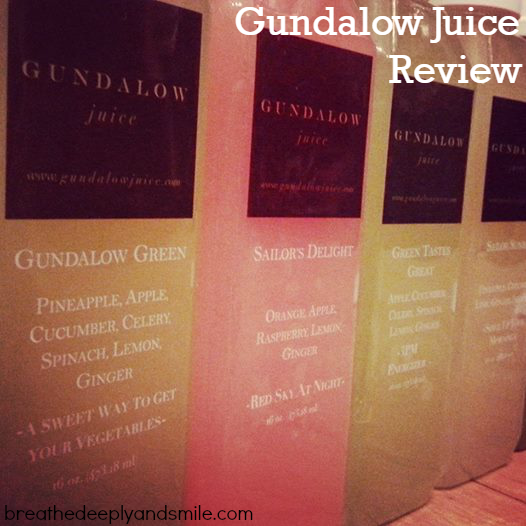 Disclaimer: I was given a complimentary 1-day juice package from Gundalow Juice for review. As always, all thoughts and opinions are my own. I've mentioned before that I'm a fan of juices, especially as a way to get in some greens and nutrients on days where they are sparse from my diet. 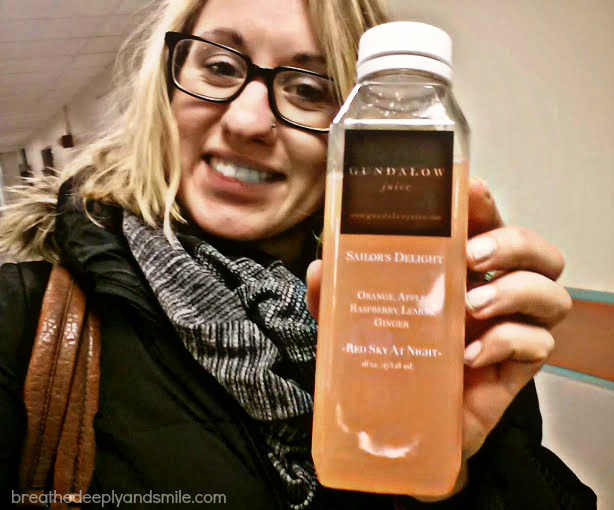 I was really excited when I tried Gundalow Juices at a tasting at REV Cycle Studio last year because it was not only a local Baltimore juice business, but the juices were delicious! Shortly after, I got the chance to sit down with the founder Dana who has a degree in Nutritional Sciences and also owns her own personal chef business. We immediately connected on the idea of balanced, healthy living and the way that juices can be an easy, portable way to get some fruits,veggies, and good nutrients into a busy lifestyle. I love grabbing one after a workout at Charm City Yoga or REV Cycle Studio. You can purchase individual juices or pick up a pre-ordered package at a growing list of Baltimore-area fitness studios. Besides supporting a local business, I love that the juices are fairly priced. They offer a 16 oz. bottle for $7.50 or a 8 oz. bottle for just $5. They also offer several packages. For example a 1-day package of 6 juices like I did is only $45 dollars and a 3-day package of 18 juices is $129. Their juices are more affordable compared to some other brands of cold-pressed juices I've seen. Now I'm not a big proponent of the typical cleanses and detoxes. I've tried the strict 3-day juice cleanse before and while I think it is a nice reset, it's hard for someone who workouts out and really likes food. However, I was eager to try a one-day package when offered to by Gundalow because their philosophy is different. It also seemed like the perfect thing to do the Friday before Valentine's Day which was also the day I was running in my underwear at the Cupid's Undie Run before I indulged in large amounts of chocolate and wine. I LOVE that Gundalow sells juice packages NOT cleanses. I totally am on board with resetting my body but without restriction. The information that came with my juice package recommended enjoying some raw nuts, fruits, or veggies with the juices for extra energy and possibly a light lunch and/or dinner with lean protein and raw fruits and vegetables, especially if working out. As their website describes "We don't believe in holding you back or making you take a "light day" when you are drinking our juice." I spent my Valentine's Day in my underwear with the November Project Baltimore team NP_BALs to the WALL for the Cupid's Undie Run. Yes, it is an actual run in your underwear. Yes, this past Saturday when it snowed. We are crazy people. Luckily it was only flurrying when I arrived down at Power Plant Live! on Saturday around 12:30 in the afternoon. I quickly got in line to pick up my gear and head inside Luckie's Tavern before the run. I raised $50 so I got a tee shirt and a sweet pair of underwear. Apparently the run sold out that morning with 700 runners registered! 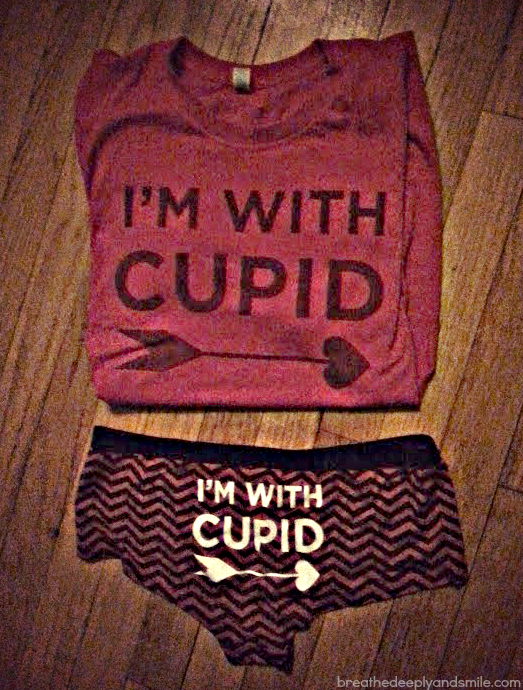 Aside from all the fun and silliness,the Cupid's Undie Run supports an awesome cause. Clearly I hate being cold so I wasn't doing it just for fun. 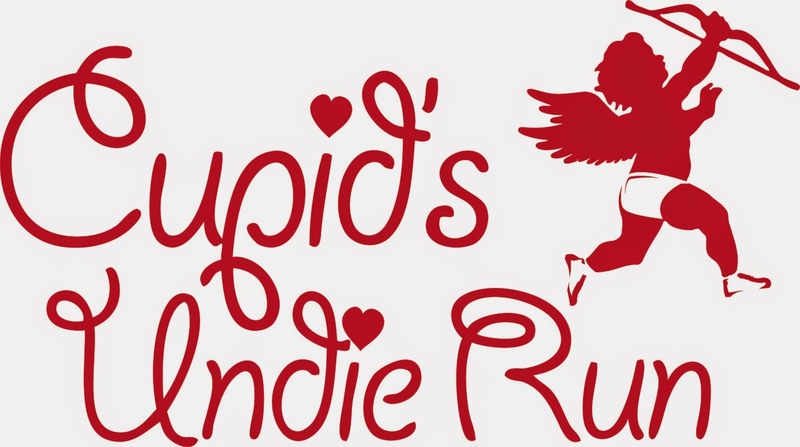 The Cupid's Undie Run is a Valentine's Day weekend fundraiser for the Children's Tumor Foundation to fund research for the genetic disorder neurofibromatosis. The run is staged in 38 cities around the world and overall has already exceeded it's goal of raising 3 million dollars. Now if you happen to be somewhere that doesn't become an icy tundra in the winter, I'm sure this event is much more comfortable! I was really proud that NP_BALs to the WALL raised over $1200 as a team and Baltimore itself raised $50,000 for the cause. I kept telling myself it was for the kids as I ran in my grassroots gear sports bra, tights, and my hot pink underwear. Today I'm linking up with my 5 Friday favorites from the week here here, and here. I just happened picked up this box of La Croix Coconut at Target on a whim. 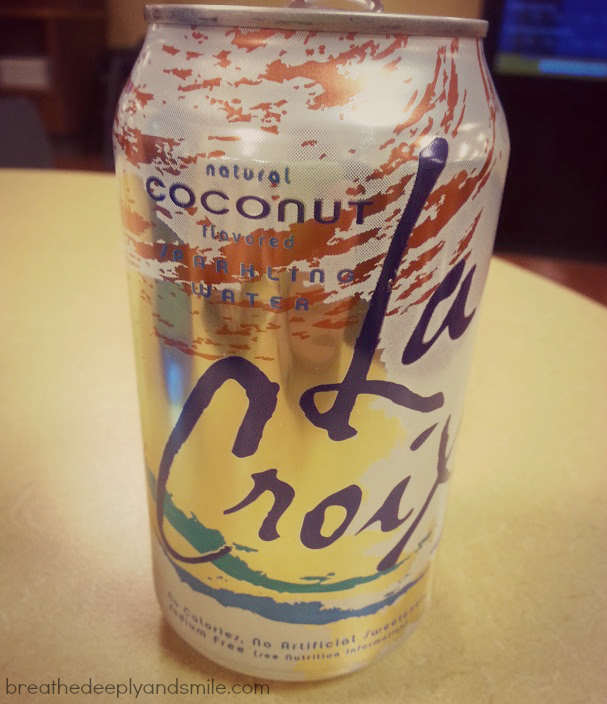 The coconut flavor is delicious, and I love the carbonation in the water. It's a great swap for soda because it has 0 calories with no sugar and no artificial ingredients. Now I'm obsessed and have at least one every day! 2. 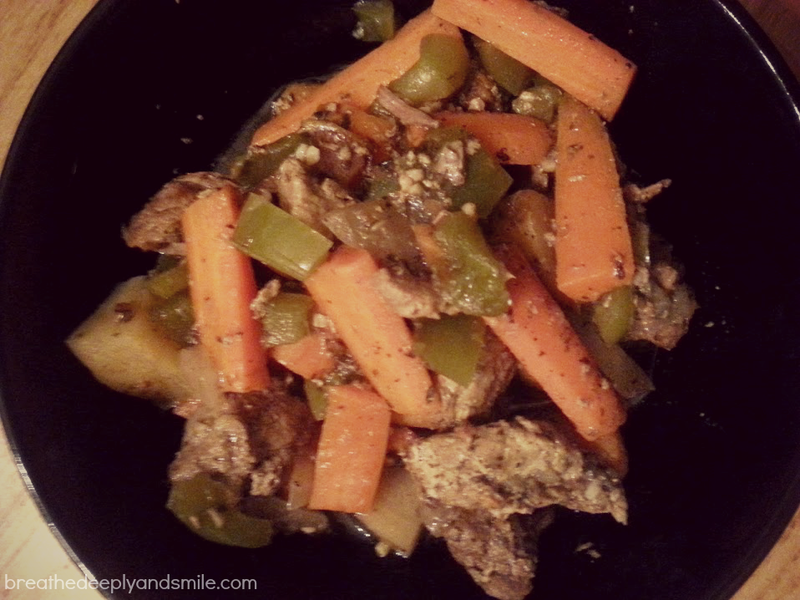 Favorite Easy Dinner: Crockpot Beef Stew. With colder temperatures I have been craving warm and hearty meals like chili and stews. I easily set this up in the crock pot before I went to work and came home to a delicious, comforting meal. I used this recipe from Lexi's Clean Kitchen and substituted the vegetables for what I had on hand- such as green peppers instead of frozen peas. Thanks to ClassPass I've been getting the chance to switch up my workouts. 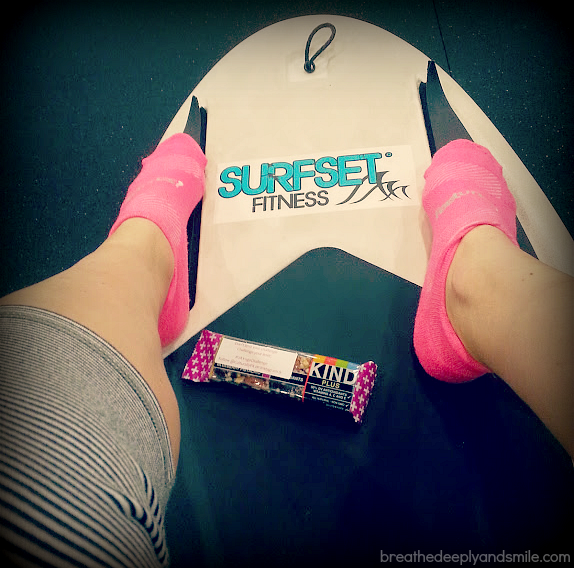 I attended a Surfset class taught by Jessie at BeachFit Baltimore on Tuesday evening and loved it. I've done Floyo there before so I was excited to try a different workout with the boards. We did sets of tabatas with the Surfset boards that left me sweatier than I expected. I love finding new fun & challenging ways to exercise. Disclaimer: This post is sponsored by DuClaw Brewing Company and a 6-pack of Naked Fish was provided to me for review. As always, all thoughts and opinions are my own. While red wine paired with chocolate is the obvious romantic choice to go along with your Valentine's Day plans, you might want to reconsider. 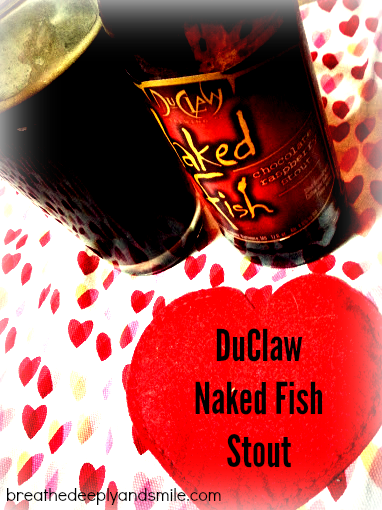 I was lucky enough to be approached to try Baltimore's own DuClaw Brewing Company's seasonal release of the Naked Fish Chocolate Raspberry Stout. I love trying new craft brews and seasonal beers so I was really excited. I'm especially a fan of DuClaw's Mysterium and Dirty Little Freak beers. While I am all about red wine and dark chocolates, I also love the pairing of stouts and chocolate. I'm not just saying that because I love pretty much anything with chocolate either! This Naked Fish Stout was first brewed in 2002 and inspired by a hot cup of raspberry coffee DuClaw Brewmaster Jim Wagner was drinking while fishing. He homebrewed the first batch later with the same coffee and a new beer was born. It is a pretty standard medium-bodied stout with a tan head and 4.6% abv, but then gets fun with gourmet chocolate raspberry coffee added to the grain bill to produce the distinct flavors of roast coffee, raspberry and dark chocolate at the finish. Despite the sweet flavors, this Naked Fish Stout is surprisingly very drinkable. I know some flavored,sweeter beers are sometimes trying to do too much or aren't everyone's cup of tea. I was worried this stout would be too sweet or that the raspberry flavor would get lost. At first sip you taste the chocolate and coffee flavors and then get a subtle hint of the fruity raspberry. It's not overwhelming and also has a nice, slightly carbonated mouth feel that isn't too heavy either. Okay so I'm an awful blogger and got totally behind on race recaps from last spring/before Chicago. There's just too many races and not enough time in my day to blog about it all! So in the new year before the spring racing starts, I thought I'd go back and finish some race recaps. 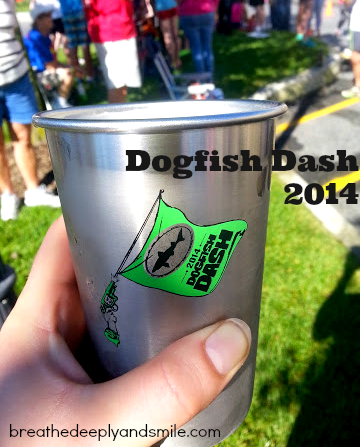 I'm starting with the Dogfish Dash 5K/10K from September 2014. 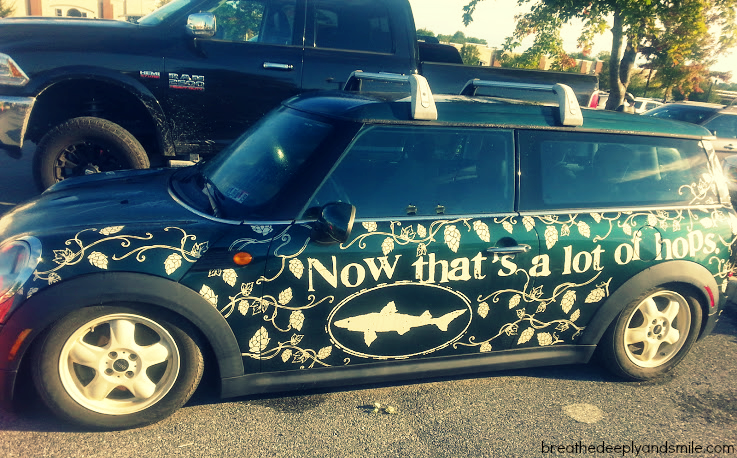 I had been really wanting to visit Dogfish Head Craft Beer Brewery because my boyfriend are huge fans of the beers they put out. We also were enamored with a series called Brew Masters about them we found on Netflix which had episodes built around specific beers from concept to creation and problems encountered as a brewery. 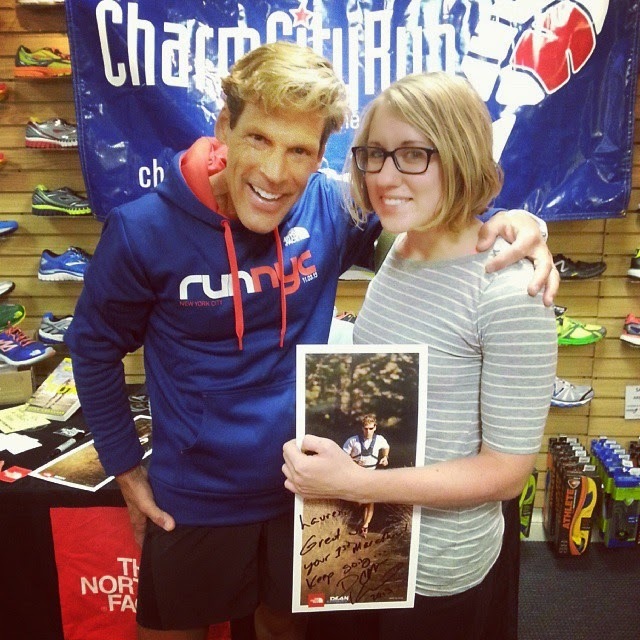 I randomly stumbled upon the registration link on Twitter the day of registration and since I knew it would sell out that day(it's capped at around 2000 runners), I signed my boyfriend and I up on a whim! We ended up making the trek to Rehobeth Beach the day before the race and went straight to packet pickup at the Dogfish Head Brewings & Eatery. Of course it was super packed, but after some waiting around we eventually snagged a couple seats at the bar and got to tasting beers. 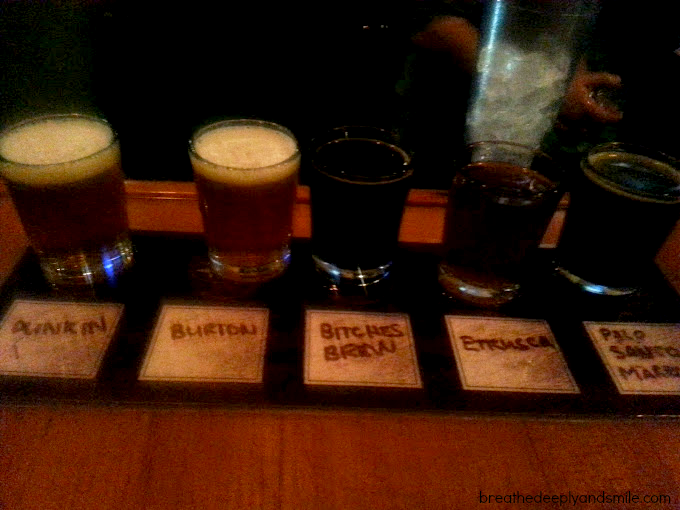 They have all of their usual beers on tap, plus specialty beers you can't get anywhere else! I was also REALLY happy that they had their Punkin Ale which is one of my favorites, on tap. Our food and the beers were great! I had the pub salad with falafel and a beer sampler.We even saw the owner Sam come in to eat with his family. It was awesome to see he was so down to earth, even when my boyfriend stopped him on the way to the bathroom to gush about how much he loves their beer. We ended up enjoying ourselves a lot and since hotels in the area were all booked for the race, we stayed at local campsite in between Rehobeth and Milton. It's definitely a race you need to plan ahead for! We had left Baltimore later than we liked so after dinner and many beers, we pretty much got to the campsite, pitched a tent, and went to sleep. The next morning we woke up bright and early to a sunny, clear sky. We drove to the actual brewery in the small town of Milton, Delaware, parked the car and got ready to race. As seen in the parking lot! Disclosure: I was offered a one-month ClassPass membership to review for no cost. This blog post contains affiliate links. As always, all thoughts and opinions are my own! I'm really excited to let you know that ClassPass has finally come to Baltimore! I have been hearing about for a while on the interwebs, and so I was really excited to get an email offering to allow me to try it out and spread the word in Charm City. ClassPass is a subscription service with a flat monthly fee (between $79-99 depending on location) that allows you to take fitness classes at a various boutique fitness studios in your area. There are tons of classes available to ClassPass members inlcuding cycling, yoga, pilates, barre, martial arts, strength-training, and more.